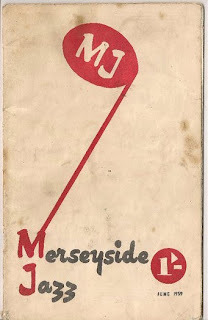 Liverpool Beatles Auction: and all that Jazz. This Merseyside Jazz Magazine from 1959 contains adverts for The Cavern Club and The Jacaranda Coffee Club and Bar. It is being sold together with a large handbill for the The Temperance Seven at the Unicorn on May 23rd and 24th 1959. This lot carries an estimate of £20-£30.